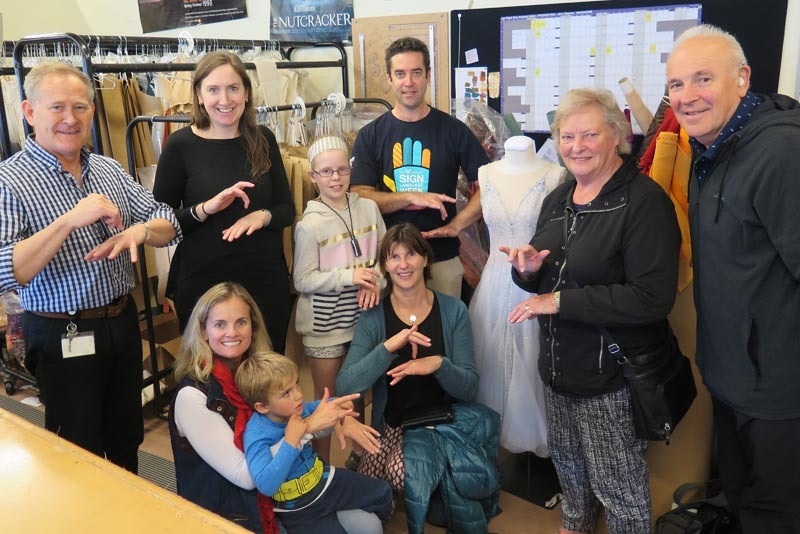 In recent months the Royal New Zealand Ballet have visited prisons, audio-described significant productions and held backstage tours for the Deaf and blind community. This and much more is because of one woman's ardent desire for accessibility in the ballet. Pascale Parenteau is the woman who is helping change the landscape of the arts through her unrelenting passion for accessibility. When asked why she is such a powerful advocate for the cause, her answer sounds like the most natural thing in the world; "because why can't a child who is born different have access to something like everyone else?" 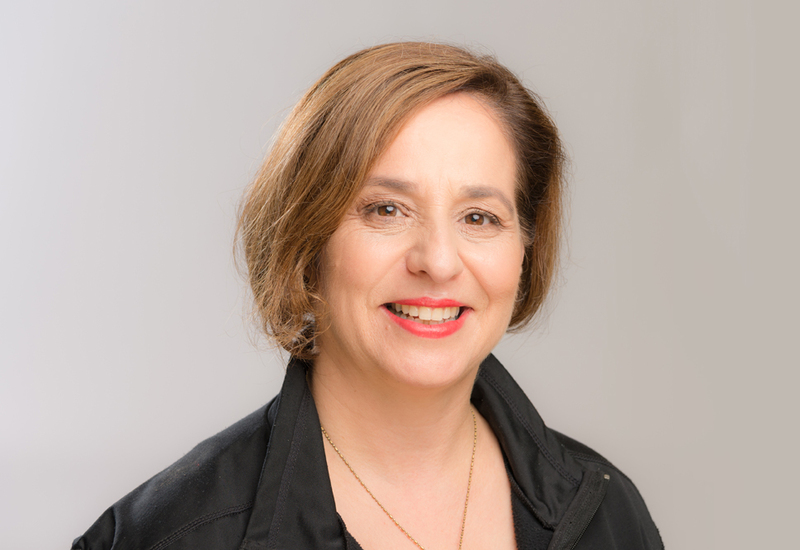 French Canadian by birth, Pascale has lived in New Zealand for the last 26 years and has been the Royal New Zealand Ballet's (RNZB) Community and Education Manager for four of those years. Her background is in music as a professionally trained violinist. She has played for the New Zealand Symphony Orchestra (NZSO), Orchestra Wellington, and has managed the NZSO National Youth Orchestra. The arts are in her blood. She laughs remembering her 2014 interview with the RNZB, "I told them I've never done ballet. I'm from a part of Canada that didn't even have a ballet studio!" She chuckles, "but I'm French so I know the terminology and I can pronounce it properly”. Despite unfamiliar beginnings, Pascale has become a stalwart leader in the company. In 2015 she made it her mission to campaign for an inclusive programme within the RNZB. At the age of three, Pascale's son was diagnosed with autism and though it changed her life in the best way possible, she couldn't ignore the challenges. "I understand the grief and isolation a parent feels when their child is born different," she explains. It's the heartbreak felt when a parent worries their child can't have the same experiences as another. This and the idea that everyone knows someone with barriers and that eventually we may all be in similar situations, was what drove Pascale to campaign for accessibility in the arts. On behalf of the RNZB Pascale started attending the Wellington Arts For All meetings, a network run by Arts Access Aotearoa which encourages arts and literary organisations, museums, galleries, venues and producers to improve their access for disabled audiences. "I wondered why we [RNZB] weren't doing anything [with accessibility]. We are one of the biggest arts organisations in New Zealand, we should be role models for others," she explains. "Somebody needed to do something about it." Implementing the accessibility plan was a drawn-out process, filled with rejection and plenty of modification. A lot of people would baulk at the push-back, but not Pascale. She likens herself to a Rottweiler, small but unwilling to let go. In 2017, the company made their accessibility policy official and have since delivered five different programmes around the country. In the first year alone, the company offered two audio-described Romeo and Juliet performances with a special backstage touch tour for the visually impaired; a sensory friendly performance for children and adults with sensory needs; a sign language interpreted tour of the RNZB headquarters; a series of workshops in Arohata Women's Prison; and fully subsidised transport for low decile schools to attend show matinees. All of these programmes are firsts for the RNZB. Pascale believes that New Zealand is roughly ten years behind in accessibility; our small population and limited resources (funding and infrastructure) are certainly contributing factors. However, she feels that accessibility is an easy target particularly when you collaborate and communicate. She is grateful to Richard Benge, the Executive Director of Arts Access, who worked alongside her to convince the RNZB that building accessibility into their programme was important. When the company agreed, they became Pascale's biggest supporters and she has been humbled by their unwavering encouragement. With the RNZB family and the Arts Access team, Pascale has a long list of collaborators. The diverse list includes: Auckland Live, Audio Described Aotearoa, Deaf Aotearoa, Vodafone Events Centre (Manukau), the Department of Corrections, and Te Papa. Other venues and organisations around the country are catching on, and if they're not seeking the RNZB programme, they're asking Pascale for advice on how to run similar ventures, which she says she is more than happy to share, just so they don't have the same troubles she did. "The Auckland Arts Festival approached me about audio describing Akram Khan's Giselle, and they asked about the sensory friendly stuff. I'm meeting with the New Zealand Opera to talk about the prisons and Orchestra Wellington has approached me," she explains. Key to success isn't just a numbers game, it's seeing the lives of people with different needs changing because of exposure to the arts. Teachers taking children with sensory needs to a sensory-friendly performance are awed by the chance, because once upon a time it seemed so distant. 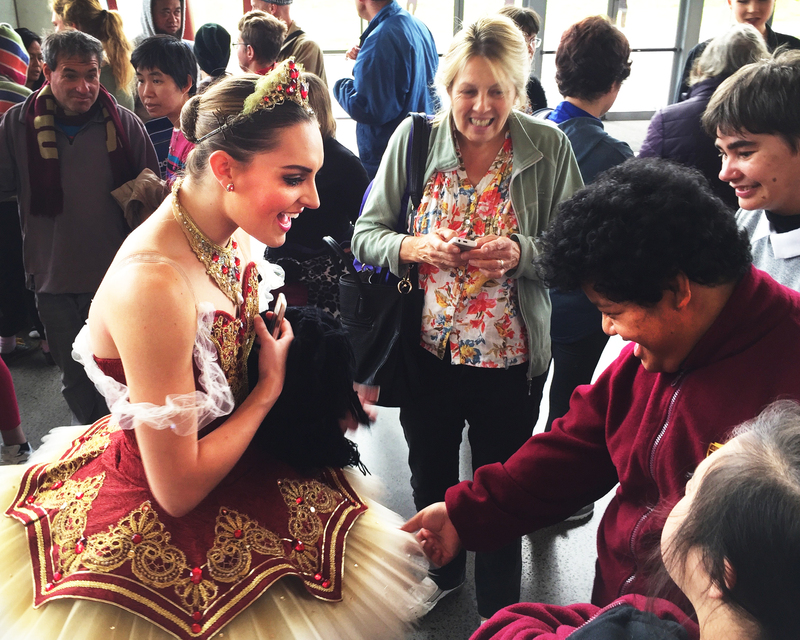 Photographs from the touch and sign interpreted tours speak for themselves, and Pascale mentions that they've booked up their Nutcracker school matinee in Wellington, Christchurch and Auckland because of their subsided transport plan. The Nutcracker opens in December and I met with Pascale in June. There are many remarkable moments for Pascale to choose from, but nothing quite like the prison project. Pascale went into Arohata Women's Prison in Wellington with RNZB dance educator Pagan Dorgan, who had previous experience teaching offenders in the UK, and dancer Laura Saxon-Jones. They delivered six dance workshops which culminated in the prison's end of year Christmas show. What really struck Pascale was when the 15 incarcerated women involved in the production glammed up for the performance (courtesy of the RNZB wardrobe) and were allowed to take photographs to send back to their families. "It was really touching," she says, slightly teary. "These women said it was the highlight of their year and they couldn't sleep that night because they were buzzing." I can feel the tears brimming in my own eyes. Despite what Pascale and the RNZB have achieved in the last year, she explains that this is only the first step. There is so much more to do in the realm of accessibility and it may be a lot of work, but as she wisely says: " You always find time for the things you believe in. You prioritise what's important to you and what makes you get out of bed in the morning." Because of her work, the RNZB have already been awarded a Highly Commended citation for the Creative New Zealand Arts For All Award. So, what's next for Pascale and the RNZB? "We have an ageing population..." she hints; but goes no further. Original generation time 1.3756 seconds.